Wool felt hats differ from fur felt hats in that they have a coarser texture and are less expensive. Unless you have purchased a high-quality fur felt hat made from rabbit or beaver (the retailer will be sure to detail its make), what you have is a wool felt hat. Most felt hats that are sold are of the wool felt variety due to its competitive pricing. Cleaning your wool felt hat is a simple task, provided you have the know-how and right materials. Keeping the hat out of the rain, as it will tend to shrink, and out of direct sunlight, and storing it properly will stretch the time in between cleanings. 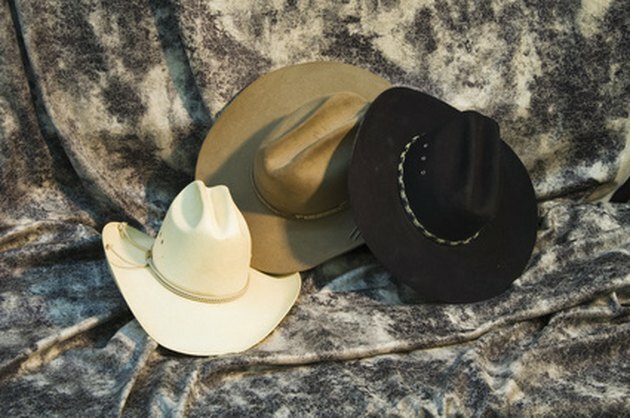 Traditional cowboy hats are often made of wool felt. Remove lint from the hat by gently applying the tape to the surface of the hat. Pull the tape away quickly to grab the lint. With the hat brush, gently brush dirt from the surface of the hat. Start on the left and work counter-clockwise until you reach the front. Turn the sweatband down and allow it to dry naturally (never apply artificial heat to the hat). This allows the sweat and oils from wear to evaporate into the air. 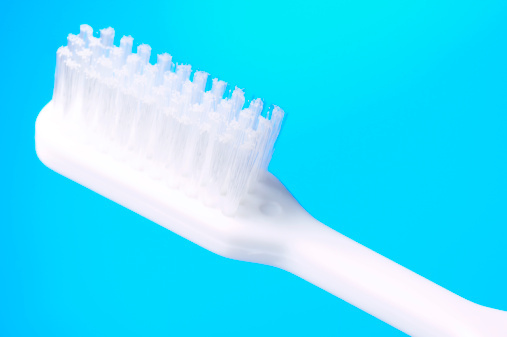 Clean the sweatband further (if necessary) by moistening the toothbrush with water and mild soap. Gently rub the sweatband with the toothbrush. Be careful not to get the hat wet. Rinse and blot with a soft cloth to dry.